I recently rented Tim Burton’s Dark Shadows movie at RedBox. Having tanked at the box office, it was only a matter of time before it was released on DVD. 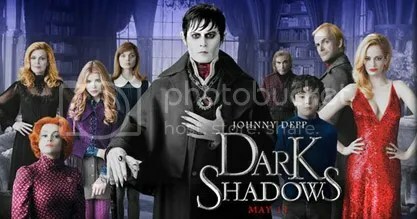 I remember hearing that there was to be a Dark Shadows movie and was temporarily excited…until I heard that it was yet another Burton/Depp project. *sigh* Odd how those two things would have been a draw for me 15 years ago. Intruders– I LOVE me some Clive Owen. I do…although I can’t say I’ve seen anything he’s been in since 2009’s The International, which I enjoyed. However, I do have Killer Elite in my NetFlix queue. Hard to believe he’s 47; he hasn’t aged a day IMO. 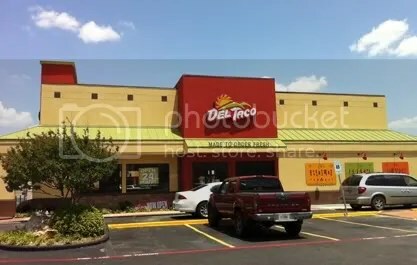 As I may or may not have mentioned, our beloved Fabulous 50’s restaurant (fast food joint) left us a little over a year or so ago. It was sad for me, not so much because it was like ‘stepping back into a time machine’ (hardly), but because they had GREAT burgers and I, personally, enjoyed the atmosphere. The typical clientele weren’t a bunch of retards being awesome, but mostly older people and/or people who know how to act in public; kind of a family place, which flies in the face of Kirk’s Logic (i.e. the fact that I ENJOYED that type of environment), but those are the facts. 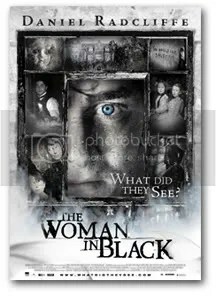 I went to see the new Harry Potter, er, I mean Daniel Radcliffe movie, The Woman In Black, on Wednesday. I remember seeing the trailer for it and thinking it looked like a fun ride. It was! First off, a synopsis for those unfamiliar with the premise: A young lawyer travels to a remote village where he discovers the vengeful ghost of a scorned woman is terrorizing the locals. • All The Boys Love Mandy Lane– I remember seeing the trailer for this movie YEARS ago, on a trailer reel at work…then it never was released theatrically (at least not that I know of), THEN it never was released to Region 1 DVD. So, I figured I would never get to see it. Thank goodness for YouTube. Someone on YouTube uploaded the movie in its entirety, widescreen, in 6 parts. Since I can view YouTube via AppleTV, I FINALLY got to see it! It was worth the wait. Abduction– Okay, before I get too far along with this brief review, you already know, that I only rented this because me likee the Taylor Lautner. It sure wasn’t because the movie looked good. And although I like the package he comes wrapped in, I must admit that I too got wrapped up in the Twilight hype when he returned with a rockin’ bod…then I saw said film he returned for and my interest quickly waned. It was cringeworthy. I assumed it was the material…now I’m thinking it’s the messenger (shoot him already). Don’t get me wrong, Lautner is still pretty, but that’s about it. There are lots of pretty packages out there. Too bad most of them are empty when you shake ’em. Synopsis: A thriller centered on a young man who sets out to uncover the truth about his life after finding his baby photo on a missing persons website. Now before I do MY review, here is a link to a hilariously accurate one that I read online. It’s considerably more brutal, but nonetheless honest. My review will be nowhere near this entertaining, so I’ll leave it up to you if you want to read it now or later.